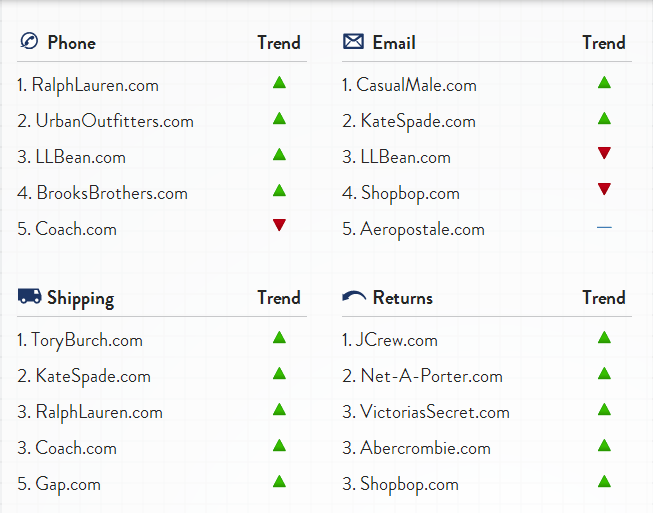 Who’s On Top With Online Shopping? Last week a report was released by Stella Service – this company evaluates major online retailers and reports on four aspects of the online shopping experience: telephone, email, shipping, and returns. With Black Friday quickly approaching, consumer will be looking at how to spend their money to get the best deals with the simplest, least stressful shopping experience. 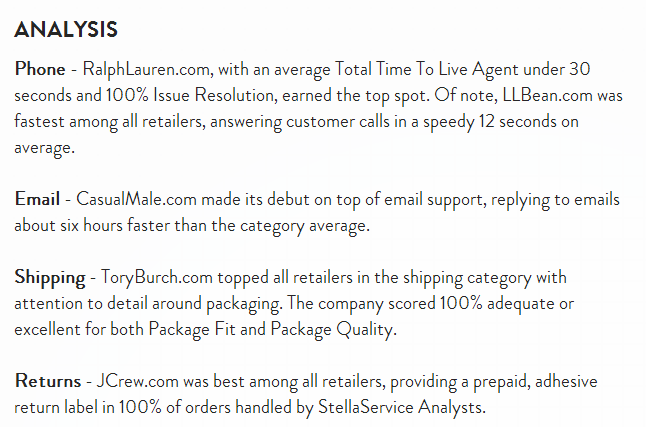 The results of this study are timely; if you want to see how companies in other categories stacked up, you can review the Stella Service report and use the drop down menu at the top of the page to peruse the different industries evaluated. Ann Michaels & Associates | Comments Off on Who’s On Top With Online Shopping?